Posted in Someone Said Saturday, whatever! the toddler’s teddy bear for comfort and a sense of belonging. Valerie Adler is the only child of a beautiful single mother; a mother that has never grown up, she is more child than the adult and unable to be the mother Val wants and needs. Addie Downs has a mother and father who are able to parent despite the serious problems they face. When Valerie moves in across the street from Addie they are both nine years old. Both need a best friend and fate has brought them together to be best friends forever. Both girls want what the other has. Val wants a stable home life with two parents who care about her and Addie wants to be pretty and popular and have the freedom Val has. All is well until high school when there is betrayal and a secret shared that separates the friends. Val moves into the popular crowd and Addie is the object of ridicule and cruel jokes. Their forever friendship becomes a memory. After high school Val works at a local TV station as a weathergirl. She is popular on and off the air and has a busy life. Addie lives alone in the house where she grew up. She is lonely and trying to find love on the internet. The women have not seen or been in touch with each other for years. Then one night Val shows up at Addie’s house with blood on her clothes and a crazy story. What follows is a trip to find the man Val thinks she may have killed. But they can’t find the body or the man. Addie and Val have quite a time trying to find the elusive maybe dead man . While looking for him or his body they find their forever friendship again. I liked Best Friends Forever. The book is touching and funny, at times laugh-out-loud funny. It tells a story of family and friends that is so real that it seems possible it could really happen. If it were to happen you would want a BFF to be with you through it all! As a child of evangelicals, homeschooled, and taught the conservative-Republican Christian way of thinking, Harris was on the front-lines of political activism before she could talk. As a baby she was in her parents arms on the picket lines of protest against injustice and the moral decline of America. As a teenager she was passionate about her faith and just as passionate about politics. Never questioning what she was taught. While in college, in her words, “And then I burned out” she tired of confrontation and the compulsion to argue with anyone who held views different from hers. After college, as a journalist, Harris found that some questions do not have easy answers and that discussion is more than snappy campaign slogans. She began to understand that “We can make political the things that are political and make spiritual the things that are spiritual. Sin and pain are spiritual–we treat them in a spiritual way…But when injustice, robbery, and inequity are not just individual but institutional, it’s time to take a political stand”. Harris has moved from her parents political beliefs but remains with them in her spiritual foundation. From them she learned to care about, and for, others and to love not just with words but with actions. This is what she is trying to live and hopes to pass on to the next generation. 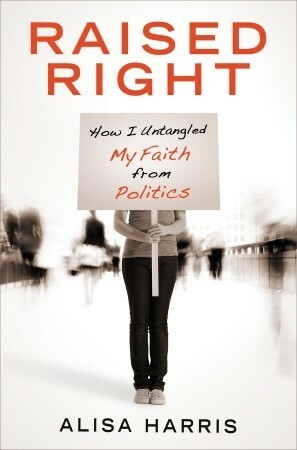 Whatever your political leanings Alisa Harris’ journey that she shares in Raised Right will give you some understanding of this generation of concerned and politically active young Christians. You will learn a bit about where they come from, how they got to where they are, and what they hope for the future. 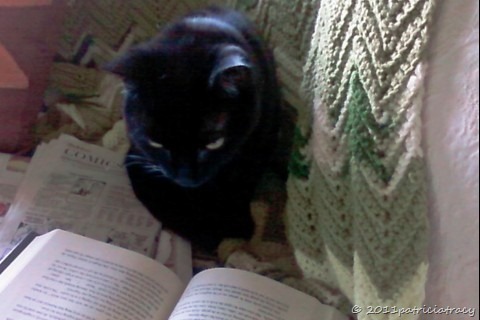 This book was sent to me free of charge in exchange for this review by WaterBrook Multnomah Publishers.